Whereas world politics had changed with disintegration of the Soviet Union, and especially after fall of the Twin Towers, but we in South Asia were slow to acknowledge these changes and make appropriate changes to our policies. With heads deep in sand we were happy to continue with the same policies, which meant more confrontation and hatred for each other; and which nearly brought South Asia to edge of a nuclear disaster. 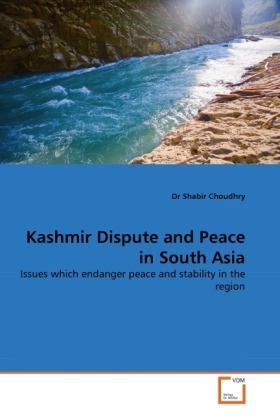 The Kashmir dispute must be resolved in its own right, as a case of Kashmiri peoples unfettered right of self- determination, a right that has been denied to the people of Jammu and Kashmir for many decades. It should be taken as an issue of a nation, forcibly divided, oppressed and denied basic human rights, not of a territorial dispute, and a bone of contention between the two countries.